For the convenience of Enfield Residents, the Town Manager's Office has been placing all informational presentations given to the Town Council on our Website under the Town Manager's Page. Town Departments regularly update the Town Council on perspective projects and programs that will benefit the community. 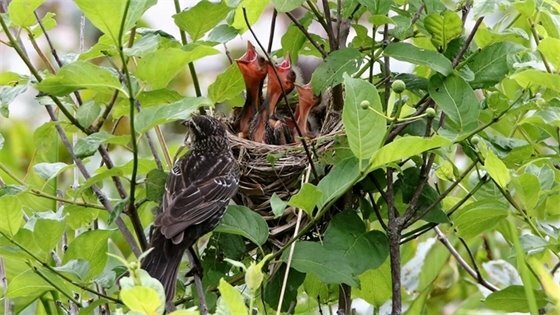 These presentations are beneficial for updating the Council on future plans and current policies, and are now available for residents to have a better understanding of the issues important to them. Please visit the Town Manager's Webpage for more information. The Town of Enfield was fortunate to have many qualified applicants for the position of Assistant Town Manager, Kasia’s professionalism and educational experience, coupled with her ambition and passion for local government made her the standout candidate. Historically, our Assistant Town Managers have been impressive individuals that contributed to the Town with their strength, knowledge, and creativity. Ms. Purciello has all of the attributes that Enfield is looking for to help us continue to innovate, lead and provide the best municipal services possible. Having moved to Enfield in her teens, Kasia is a 2008 graduate of Enfield High School. Her mother is an Enfield Resident. While holding a double bachelor’s degree in Political Science and Human Development and Family Studies, Ms. Purciello also went on to earn a Master of Public Administration and a Certificate in Public Financial Management from the University of Connecticut. She has served as a Budget Specialist at the State of Connecticut Office of Policy and Management. Kasia has experience as an analyst for the non-Medicaid portion of the Department of Social Services, the Office of the Healthcare Advocate, and the Office of Health Strategy. Adding to her impressive skill set, she is also fluent in the Polish language. 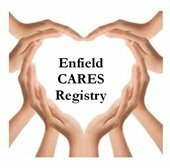 A new Enfield CARES Registry is on the website! Enfield CARES (Community Access to Resources and Emergency Services) is a voluntary program which is designed to help residents of all ages learn more about the programs and services available to them and to make Town Emergency Responders aware of any special medical needs or situations. 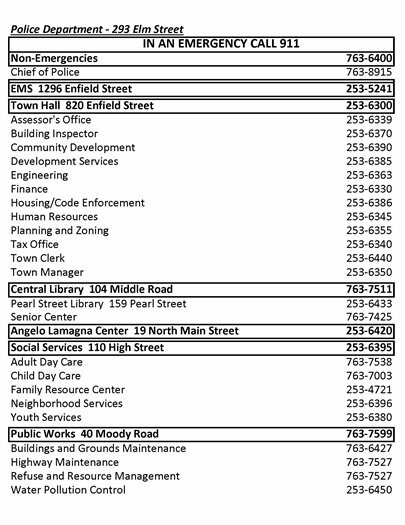 The Enfield Department of Social Services announced the new outreach initiative, and registration with Enfield CARES is free, confidential and easy. You can sign up by calling the Enfield DSS Adult and Community Services Division at 860-253-6396, stopping by our office at 110 High Street or completing a simple on-line application on the DSS page of the Town of Enfield website. For more information on Enfield CARES, contact Jessica Russell at 860-253-6403. Are you an Enfield Senior that is struggling with making weatherization and energy efficiency repairs to your home? The Senior Minor Repair Program, sponsored by the Enfield Commission on Aging, will begin the repair season on Tuesday, April 2, 2019. There is no charge for labor however, there may be a charge for supplies (at cost). The program is staffed strictly by volunteers who have had background checks performed and carry valid identification. A brief description of the repair requested is needed to help ensure the proper tools and/or supplies are available. The program will start taking requests and scheduling on Monday, March 11, 2019. Requests can be made by calling 860 253-6396 (Social Services). As the result of a selection process that was conducted over the past few months (including a written application, oral interview panel, and background investigation) ten new Enfield Police Auxiliary Officers commenced training on Thursday, January 24, 2019. Upon the completion of their training these auxiliary officers will join the remaining seven incumbent officers for a total of seventeen officers. These selection of these ten new auxiliary officers was also undertaken with a specific eye toward individual who could potentially be appropriate to undertake full-service service with the Enfield Police Department in the future. 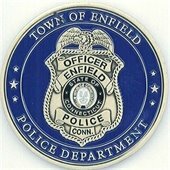 The Enfield Police Department has recently completed the “tie-in” of Enfield Housing Authority cameras, with certain Board of Education cameras, along with four Town cameras, as a part of the initial phase of the Enfield Joint Operations Center. These cameras are intended to deter and detect criminal activity. The Enfield Police Department has partnered with Lexus Nexus to allow the option for citizen retrieval of accident reports, through this link available on the Police Department’s Webpage. Based on last year’s accident data the Town would realize a minimum of $2,000.00 annually and the record unit would save time and effort. Requestors would still have the option of obtaining a hard-copy of an accident report at the Police Department if they wished. Library Services in Full Swing this Spring! Would You Like a Museum Pass? The Enfield Public Library offers free and discounted passes to many area museums and attractions. These passes have been generously purchased for your enjoyment by the Friends of the Enfield Library. Patrons can check out the passes on a first-come, first-served basis at the library’s circulation desk. The individual passes are good for one day and cannot be renewed. They must be returned to the Enfield Central Library. 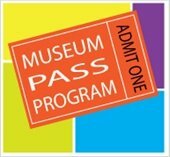 The late charge on Museum Passes is $5 a day. Can't get to the post office? You can come here to get your passport instead. This program is in conjunction with the Hartford Public Library's Passport Services. March 27-Children will learn how to draw their own cartoons with cartoonist Debi Hamuka-Falkenham. Ages 7 and up. 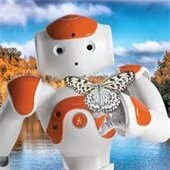 April 24- Get up close and personal with some of the robots that work at the CT Science Center and learn what makes this incredible technology tick! For ages 7 and up, drop in. Recycling Events Coming Soon at Public Works! Oil may be dropped off at a collection point located at the Public Works Complex, 40 Moody Road. This is normally scheduled for the third Saturday of each month from 9 a.m. to 1 p.m.
You may call the Refuse and Resource Management Division at 860-763-7560 for confirmation of dates and times. Note that there will be NO drop off during the months of December, January, February or March. 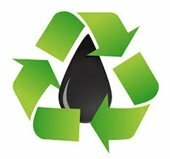 Motor oil should be in clear plastic bottles (if possible) no larger than 1 gallon. 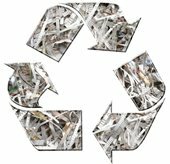 Free Paper Shredding for Enfield residents at the Public Works Complex, 40 Moody Road. Residential & confidential material only. 5 Box limit. NO junk mail, accordion folders or metal clips, magazines or plastic. Residents are asked to consider bringing one non-perishable food item for the Enfield Food Shelf. Free Hazardous Waste drop off for Enfield residents at the Public Works Complex, 40 Moody Road. If residents have any questions, they can call us at (860) 763-7527. Paul Bisaccia presents a concert of Ragtime featuring the King of Ragtime – Scott Joplin (The Entertainer and Maple Leaf Rag) as well as ragtime by George Gershwin. Scott Joplin died in 1917 – one hundred years ago – and he transformed American Music. Also included will be some real Ragtime Lullabies including Solace by Joplin and a couple famous lullabies – Send in the Clowns, and Gershwin’s Summertime. Paul will include his famous anecdotes and stories to make the men who made the music come alive for an evening. Irving Berlin’s Puttin’ on the Ritz and the Spaghetti Rag will also be featured – a concert of Rousing American Ragtime! Concerts Fridays, 6-8 pm, $10 per person, includes dessert. The story of the legendary rock band Queen lead singer Freddie Mercury (Rami Malek), leading up to their famous performance at Live Aid Concert in 1985. A musician (Bradley Cooper) helps a young singer (Lady Gaga) find fame, even as age and alcoholism send his own career into a downward spiral. When concern of balance enters our lives, it is a gift to have the presence of a talented, knowledgeable and caring Physical Therapist who will assess our strengths and weaknesses, explain to us the source of those weaknesses and offer us a pathway to improve­ment. Please join us as Jessica McKinney, of Touchpoints at Chest­nut and Touchpoints Therapy provides screening and guidance. The tool that is used can help define whether the weakness is in our ears, our eyes or our core – there is much to learn and share, and we look forward to seeing you. Please join Janine Lancaster, Director of Dining at Fresh River, as she speaks about cooking for one or two. Janine also teaches culinary arts and her creative and tasty ideas both perk up and deeply satisfy the appetite. We look forward to the pleasure of your company. Please call the Enfield Senior Center to register 860-763-7425 to ensure enough supplies. Additionally, please note any food allergies when registering for this event. Join Sam & Bill from Stateline Senior Services for coffee and donuts. This workshop will discuss your options; original Medicare vs Medicare advantage plans, part d & the donut hole as well as the Medicare Savings Plan. Find out if you qualify for reduced premiums and prescription copays. Stateline Senior Services, LLC is in Somers CT and has been serving the senior community for 18 years. *Day trips are available for sale on or after the trip sign-up date. Westchester Dinner Theater- Newsies – Thursday, May 23, 2019. Cost $95 per person. The sign-up date for this trip is March 29 @ 10 am in the dining room. A Taste of Italian New York – Tuesday, May 7, 2019. Cost $103 per person. Trip sign up date is March 1 @ 10 am in the dining room. Newport by Land and Sea – Thursday June 13, 2019. Cost $86 per person. Trip sign up is April 5 @ 10 am in the dining room. Kennebunkport – Tuesday July 16, 2019. Cost $110 per person. Trip sign up is May 17 @ 10 am in the dining room. Aqua Turf – Kenny and Dolly Tribute Show – Monday, August 12, 2019. Cost $102 per person. Trip sign up date is June 14, @ 10 am in the dining room. Saratoga Raceway – Wednesday August 24, 2019. Trip cost is $87 per person. Trip sign up is June 28 @ 10 am in the dining room. One World Observatory and 9/11 Memorial Museum – Thursday September 19, 2019. Cost:$117. Covered Bridges of New Hampshire- Fitzwilliam Inn – Tuesday October 15, 2019. Trip cost is $102 per person. Trip sign up date is August 16 @ 10 am in the dining room. Reservations are being accepted for multi-day adventures. Philadelphia -Deadline approaching! Reserve your spot now! April 15 – April 17, 2019. Cost $502 pp/double. Bermuda – May 5 – 12th, 2019. Pricing starts at $1,249.00 per person. Yukon and Alaska Land and Cruise – June 10 - 22. Pricing starts at $5,499.00 per person. Gettysburg –June 24- 26, 2019. Trip cost is $506 per person, dbl. Montreal and Canada – July 12- 20, 2019. Pricing starts at $1,829 per person. Mackinac Island – September 24 – October 1, 2019. Pricing starts at $1,536.00 per person. Rhine Getaway – Viking River Cruise – October 9 – 17, 2019. Pricing starts at $2,999 per person. New York To Panama Canal Cruise – November 9 – 24, 2019. Pricing starts at $1,999 per person. Information regarding The Enfield Senior Center can be found on our website: www.enfield-ct.gov/seniors. Sponsored by Brookdale in South Windsor. April 18, 2019 9:00 AM. Menu will include egg sandwiches, scrambled eggs, sausage, bacon, waffles with fruit and danish. Youth Fishing Derby - SAVE THE DATE! Make sure to mark your calendar – Saturday, May 18. 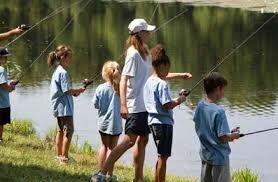 In conjunction with National Kids to Parks Day, a day to connect families and youth with parks and public lands, the Recreation Division will be hosting the Annual Youth Fishing Derby once again! For those 15 years and younger, grab your fishing poles and head over to Freshwater Pond to try to catch some fish! Prizes will be awarded for largest fish caught in each age group. Registration is NOT required. This event will start at 9:00 AM and conclude at 11:00 AM. The Fishing Derby is FREE event and is open to Enfield residents. Join Enfield Recreation on Saturday, July 20 as we take a bus trip to the Bronx to root on the New York Yankees! Trip includes round trip motorcoach transportation to and from the stadium and a ticket (400 level) to the 1:05 PM game where the Yankees will take on the Colorado Rockies. The trip is open to both residents and non-residents. Pre-registration is required and has already begun. Fee is $79 per ticket. Spaces are limited and are on a first come, first serve basis. Register today! Take a trip to Fenway Park on Saturday, August 10 to watch the reigning World Series Champs compete in America’s favorite pastime! Join Enfield Recreation as we take a bus trip to Boston to watch the Red Sox take on the L.A. Angels. Trip includes roundtrip motorcoach transportation to and from the stadium, time for shopping or dining, and a ticket (bleacher seats) to the 4:05 PM game. This trip is open to both residents and non-residents. Pre-registration is required and has already begun. Fee is $89 per ticket. Spaces are limited and are on a first come, first serve basis. Register today! May 8 - June 5 at the Parkman School gym and is open to those 3-7 years of age. 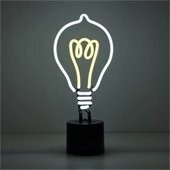 Fee is $75 for residents / $85 for non-residents. Pre-registration is required. Spaces are limited and registration has begun. Don’t delay, register today! Whether you are interested in learning about field hockey or looking to further your skills and knowledge of the sport, join us at the Enfield Annex for our Spring Field Hockey Clinic. The clinic will run Wednesdays, April 17 - May 22 from 6:00-7:30 PM. The Field Hockey Clinic is for those in 3rd - 8th grade and is open to both residents and non-residents. Participants will be split into two age groups; grades 3-5 and grades 6-8. Fee is $35.00 for residents / $43.75 for non-residents. Pre-registration is required. Spaces are limited and registration has begun. Don’t delay, register today! This entry level course for youth ages 10-15 is intended to teach age appropriate skills necessary to care for children of all ages using team babysitting, mother’s helper, and individual babysitting concepts. This course focuses on safety with an emphasis on prevention. Basic first aid and obstructed airway management for a conscious choking adult/child and infant will be covered. Other topics will include hand washing, diapering, bottle feeding, personal safety, interviewing skills, and more. Participants should bring a snack and drink with them to class. All participants will receive a book, handouts and a Babysitter Safety Certificate. Class will be held on Monday, April 8, 2019, 9:00 AM -1:00 PM at the Angelo Lamagna Activity Center. Spaces are limited. Fee is $48.00 residents / $59.00 non-residents. Pre-registration is required. Spaces are limited and registration has begun. Don’t delay, register today! Summer time is approaching and that can only mean one thing – summer camp! Information on day camp for youth entering grades 1-9 in September 2019 will available for viewing on our homepage beginning, Friday, March 8th. Registration will begin in mid-March. Visit www.enfield-ct.gov/recreation for complete details and to view the camp brochure. Enfield Recreation will be offering a spring session of swim lessons on Saturdays, April 27 - June 1. A variety of classes will be available for children ages 6 months and up. Lessons will be held at the Enfield Annex Pool. The cost is $45 per participant. Pre-registration is required and is only open to Enfield residents. Classes fill extremely quickly and registration has already begun. Don’t delay, register today! Are you looking to release some stress and live a healthier lifestyle this spring? If so, this is the perfect class for you! Yoga will bring balance, breath awareness, stamina, and flexibility to the body and mind. Students will be able to work at their own level, modifying poses as needed. Participants are encouraged to bring a yoga mat to class. 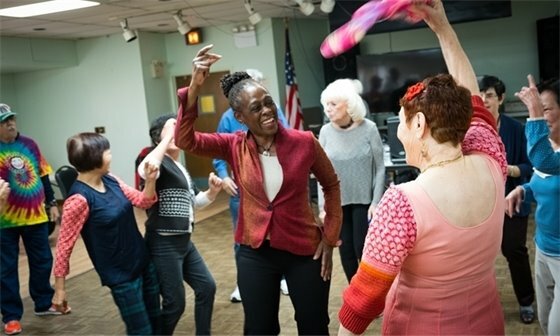 Classes will be held Tuesdays, March 19 – May 14 (no class on April 9) from 6:15-7:30 PM in the multipurpose room at Parkman School. Fee is $30.00 for residents/ $37.50 for non-residents. Pre-registration is required. Spaces are limited and registration has begun. Don’t delay, register today! Enjoy working in recreation? Looking for a summer position? We want you! Enfield Recreation is currently seeking individuals ready to work for our seasonal positions. Lifeguards, Camp Counselors, Head Camp Counselor, Camp Director and more. Visit www.enfield-ct.gov/HR to view the current job postings and to apply.